A secondary, but more important, concern was that they felt their existing site was ineffective at really targeting their primary audience: the parents who were enrolling their kids in these summer camps. We worked with them through an intensive design planning phase, measuring each decision against whether it told an effective story to their target audience and whether it fit the journey we were trying to take that audience on. We ended up with a sleek and responsive design that effectively told the right story to their target audience. 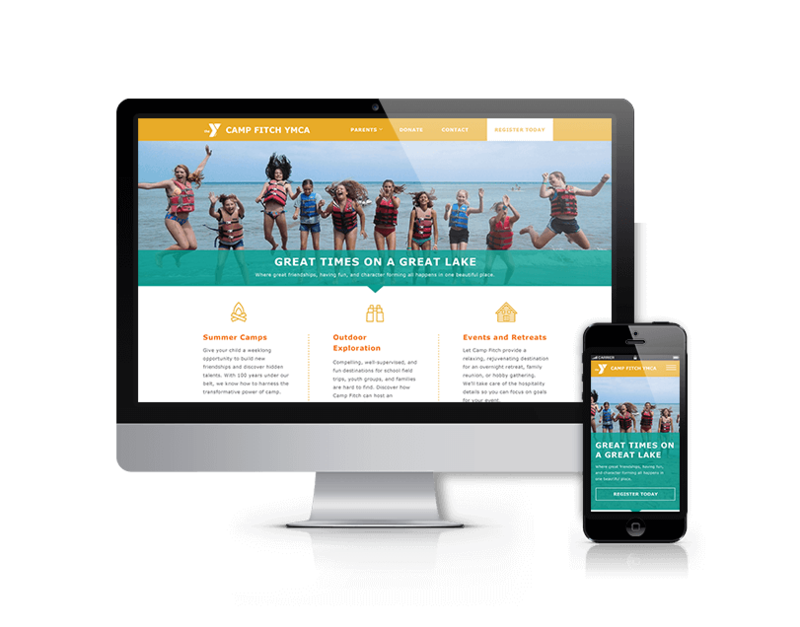 We also put a lot of effort into a custom admin UX that allowed the YMCA staff to easily manage the content of their website. Visit Camp Fitch YMCA website.